We are currently enrolling patients in an important study to advance the field of canine orthopedics. 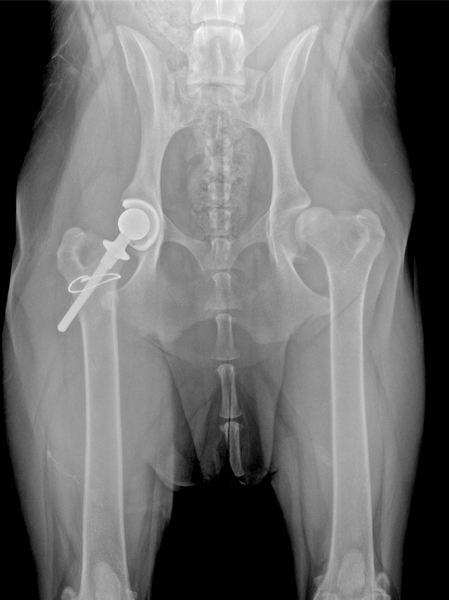 Clinical Trial for Canines with Hip Problems: We're looking for a few lucky dogs! Veterinary clinical trials are research studies that investigate whether a new medical treatment offers effective therapy for certain conditions including whether the new treatment is better than the current standard therapy. With each study, we're able to answer questions that help us find better ways to diagnose, prevent and treat diseases in pets. At NorthStar VETS, we're not only the region's leading veterinary emergency, trauma and specialty practice, but we also provide access to novel treatments by offering pets the opportunity to participate in clinical trials. These leading-edge treatments are often made available at a reduced cost. If you are interested in having your dog evaluated for participation in one of these studies, or to learn more, please contact NorthStar VETS at 609.259.8300, or email info@northstarvets.com. NorthStar VETS is recruiting 12-24 dogs for a clinical trial to evaluate the effectiveness of an innovative surgical procedure called "BFX Centerline" a total hip replacement technique. NorthStar VETS Founder and Chief of Staff Daniel Stobie, DVM, MS, DACVS, has successfully performed this procedure on eight dogs and is ready to study it further. Traditionally, total hip replacement involves "reaming" the femoral canal and using implants that are impacted or cemented into the femur. While these procedures are successful, there is increased risk of femur fracture with reaming. The new total Centerline hip replacement system replaces the femoral head and the implant is placed without reaming or the use of bone cement. It uses biological fixation (BFX), which is biologically compatible (minimizing adverse reactions), and encourages bone growth into the implant for stability. It also avoids complications related to using cement, such as loosening or infection. Weighs more than 50 lbs. All these services are provided for $4,500, which is 50% off the regular price. The full amount ($9,000) may be held on a Wells Fargo credit card but not charged until the final checkups are complete. With each step of the process (appointment, surgery, two-week checkup, one-month checkup, etc), the bill is reduced down to a final amount of $4,500.